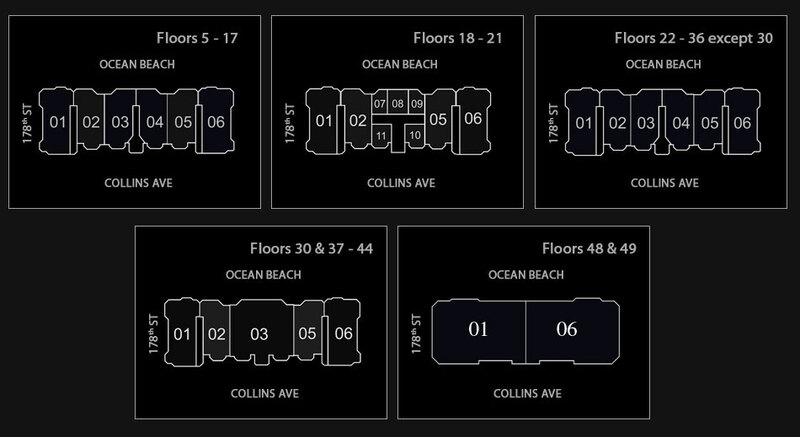 17749 Collins Avenue, Sunny Isles Beach, FL 33160? Gorgeous 4 bed 6,5 bath unit in the newest, luxury Mansions at Acqualina. Stunning direct ocean and intracoastal views. Upgraded millwork package (doors, frames and baseboard) 10&apos;6 ceilings, marble & wooden floors, Ornare leather-cld closets, Downsview kitchen w/Milele appliances, fireplace, Jacuzzi and summer kitchen on the south terrace. Fully and tastefully furnished Mansion with Worlds famous brands furniture.16,000 sq.ft. of Amenities, Fitness Center, Finest SPA, Wine and Cigar Lounge.